The Poconos are mountains situated in the northeastern portion of Pennsylvania. They are located over 2400 square miles, and they are home to cascading waterfalls, vast woodlands, and winding rivers. While in the Poconos, you can go white water rafting, boat, fish, and hike. During the winter months, you can ski and snowboard. It is a beautiful area of the country to visit. If you are planning to take a vacation in the area, you need a place to stay. Each Poconos luxury resort present on this list offers a relaxing and tranquil place for you to enjoy the atmosphere. This article will provide recommendations on top ten Poconos luxury resort options that will be excellent places to stay. One more thing before we start the countdown. In researching the Poconos area we have found only 2 resorts that have a 4-star rating. And, although we strive to offer the best when it comes to Poconos luxury hotels, this particular list, by the state of facts, comprises of hotels which have a rating of under the minimum 4 stars. This is an all-inclusive Poconos luxury resort. Rooms have a country charm décor, and some rooms include a living area. At this all-inclusive resort, rooms are comfortable and contain a refrigerator and coffeemaker. Some rooms have a view of the lake, and some rooms have a balcony. You also have the opportunity to stay at one of the guest homes on-site. You can enjoy dining at the restaurant that has numerous options and excellent desserts. Activities are scheduled daily. You can relax at the indoor or outdoor pool, visit the spa, ride the bumper cars, or go kayaking. You can even go zip-lining or white-water rafting. Reviews are mostly favorable as per guest experience comments. And we strongly recommend you go through them thoroughly to see what they experienced, and why is this place considered the best family resort in the Pocono Mountains, as well as #1 Family Resort in America according to TripAdvisor. This elegant manor features a Romanesque arched entryway and huge stone fireplaces. You will see stunning views of the Pocono Mountains, and the lawn and gardens are gorgeous. There are a saltwater pool and a hot tub. You can enjoy nature or hiking trails, and you can take a steam sauna. Rooms contain pillow top beds, robes, televisions, and a private bath. Some rooms include a Jacuzzi, fireplaces, and a balcony, making this place one of the best Poconos luxury resort options for romantic getaways. Check out the reviews on TripAdvisor to see what goes well and what might take away some of the fun and relaxation and you look for before booking a room at this hotel. Situated at the bottom of the Camelback Mountain, this family Pocono resort features an indoor and outdoor pool, whirlpool, and sauna. There is also a restaurant on-site. Rooms are cozy and have cable television and garden or mountain views. Free Wi-Fi is also available. There is also a spa and fitness center. This Poconos luxury resort and conference center has drawn the praise and the critique from most of its guests. Go through these arguments before booking a room here to see what other found here during their stay. Children will be in heaven at this Poconos luxury resort that includes an indoor water park. You can stay at a suite, lodge, villa, or cottage. This historic lodge looks out over the stunning Lake Harmony. Suites are contemporary and comfortable. Villas contain fireplaces, a fill kitchen, and a dining area. The water park includes 4-story slides, a wave pool, and a hot tub. The resort is also home to a movie theater, bowling alley, and a miniature golf course. An arcade is also at the property. You can unwind with a massage, or you can get your hair styled at the salon. You can dine at the food court or at the Italian restaurant. If you are looking for Poconos luxury cabins, this resort offers villas, cottages, lodge rooms and suites that capture the charm of a mountain town. Pay attention to the reviews written on TripAdvisor as they offer valuable insight about what amenities await you here and what activities can be enjoyed on the premises. This Poconos luxury casino resort contains an incredible casino. Rooms are modern and comfortable. You will have a 37” flat screen television, a coffeemaker, and free Wi-Fi. There are 4 restaurants, a nightclub, bars, spa, salon, and a fitness center. You can lounge by the indoor or outdoor pool, which has a bar and lounge. The pool areas also contain a whirlpool and private cabanas. An 18-hole golf course is also on the property. Make sure you know beforehand what lies ahead at this Poconos spa resort by reading the reviews written by previous guests. While staying at this Pocono luxury resort, you can relax at a spa or workout at the fitness center. There are numerous activities, such as archery, billiards, and tennis. You can swim at one of the 2 pools, or you can go hiking and explore the area. The Pocono luxury hotel includes a steak restaurant, or you can dine at the Dining Room and enjoy some authentic American cuisine. The stylish rooms contain suite bathrooms, heated floors, and free Wi-Fi. Some rooms include mountain views, whirlpools, and private balconies. Go through these accounts of other guests’ experiences before booking a room here. The atmosphere at this mountain luxury resort is peaceful and tranquil. 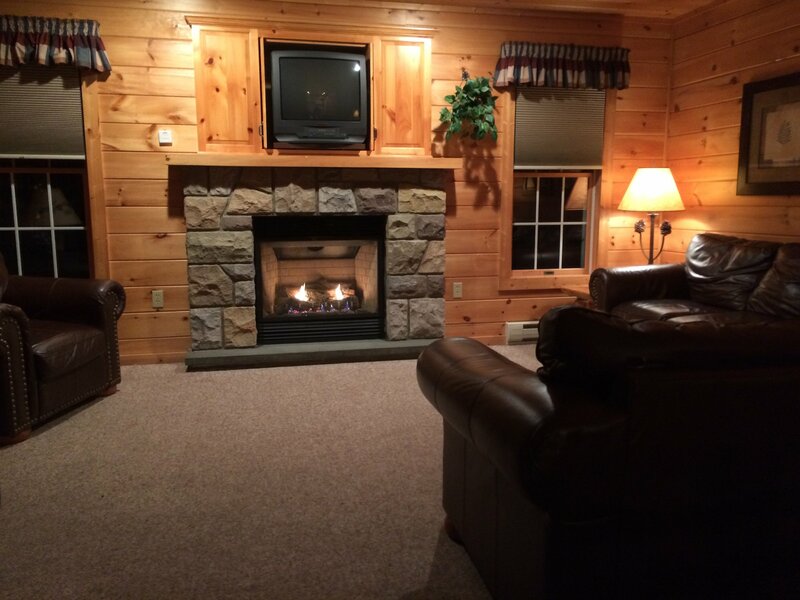 This rustic resort contains spacious cabins and cottages for those looking for Pocono mountain cabin rentals. They include kitchens, cable television, outdoor grills, and a picnic table. You will also have access to a rowboat. You can fish or play tennis at the resort. 2 tennis courts are also available, as well as beaches and a play area for kids. There are many restaurants close to the resort. Check out these testimonials from other guests and make a better impression on what to expect before booking a room here. Children will love this Poconos luxury resort. It is home to an amazing water park that has thrilling slides and a pool area. There is an arcade, mini bowling alley, and mini-golf course. You can dine in one of the many restaurants. Guests of this luxury hotel in Pocono Mountains Pennsylvania get free admission to the water park. There are numerous rooms to choose from including a kid’s bunk room. Rooms are spacious and comfortable and include a refrigerator and a microwave. Guests have enjoyed their time staying at this fun and filled with activities Poconos spa resort. Read their accounts and see what experiences await you here. 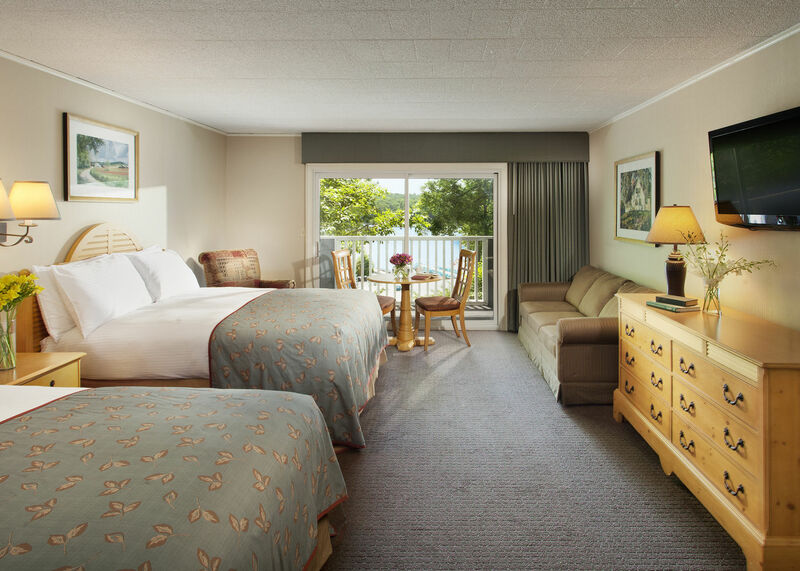 This casino resort and spa in Poconos Mountains Pennsylvania offers comfortable rooms that contain smart televisions and separate living areas. Suites include separate living rooms and coffee makers. The resort is home to 9 restaurants, 5 bars, and 2 nightclubs. Live entertainment is provided. You can go to the casino and play slot machines, table games, and poker. You can go to the horse racetrack, or you can visit the spa. With the help of these community reviewers, you will be able to make an informed decision when considering booking a room at the Mohegan Sun Poconos. This is a historic Poconos luxury resort. You can stay at the main lodge, the inn, or a cottage. While at the resort, you can play golf, play tennis, or go hiking. There is an indoor and outdoor pool, and there is a lake with a beach area for swimming. You can also enjoy horseback riding. Rooms feature country-style décor, free Wi-Fi, and televisions. Some rooms have balconies, fireplaces, and whirlpools. You can dine at one of the 2 restaurants at the resort. Check out the reviews posted on this travel community page and see for yourself the opinions and hints and tips that some previous guests have pointed out in their comments. The Poconos Mountains Pennsylvania contain a relaxing atmosphere full of beauty. It is the ideal vacation for you just to get away from the rest of the world. The mountains, lakes, and valleys are gorgeous, and there are so many things to do. Find a Poconos luxury resort, and you will have a memorable vacation experience. If you’ve already visited the place, share your favorite Poconos luxury hotels in the comments below!